Any animation that has been created by me or examples of animations or topics revolving around the subject of animation. Putting everything together and adding some sound. Not much sleep has been had getting this together…it has also been a learning experience as it is not like the one I used to know. I now remember back to the first animation project at Uni I was using After Effects and Premiere then too, and again this same feeling arose. Although things are feeling a little more comfortable thanks to that project, although I still seem to be falling back on knowledge gained at college…I really need to set myself small projects within these programs more often. I appear to have forgotten a lot over the last year and a lot of this year has been spent catching up on the lost knowledge. I hope the Java lessons at my last Uni haven’t replaced the software knowledge in my head, as I swear at times it feels like it. 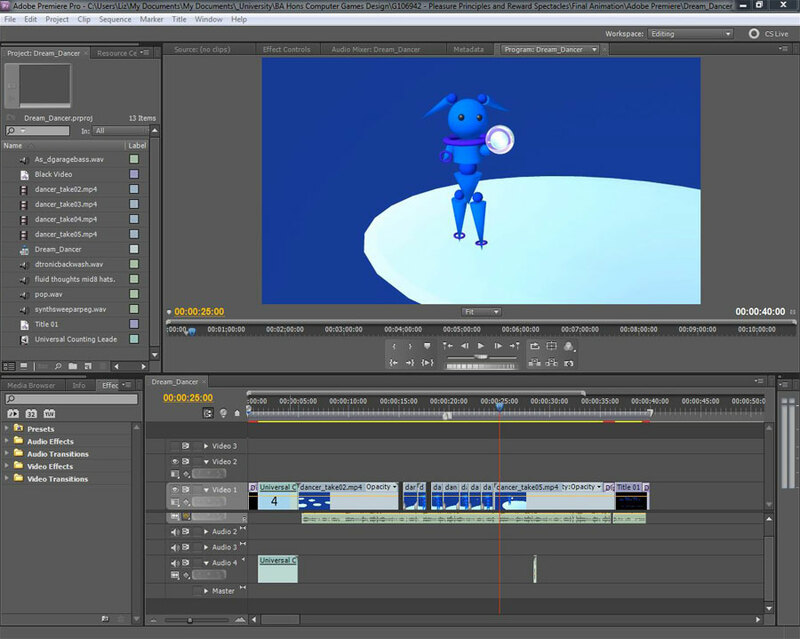 While using After Effects I am very much aware that I have barely scratched surface with what this program can do, and have also been encountering issues where I want to do something know that the program can do it then have been stuck and figuring out the right combo of clicks and buttons to get it done. Similar to the problems I have been having in Maya also, need to brush up more on textures have realised some issues with the renders as I have gone through editing, but getting too late to change it now…. 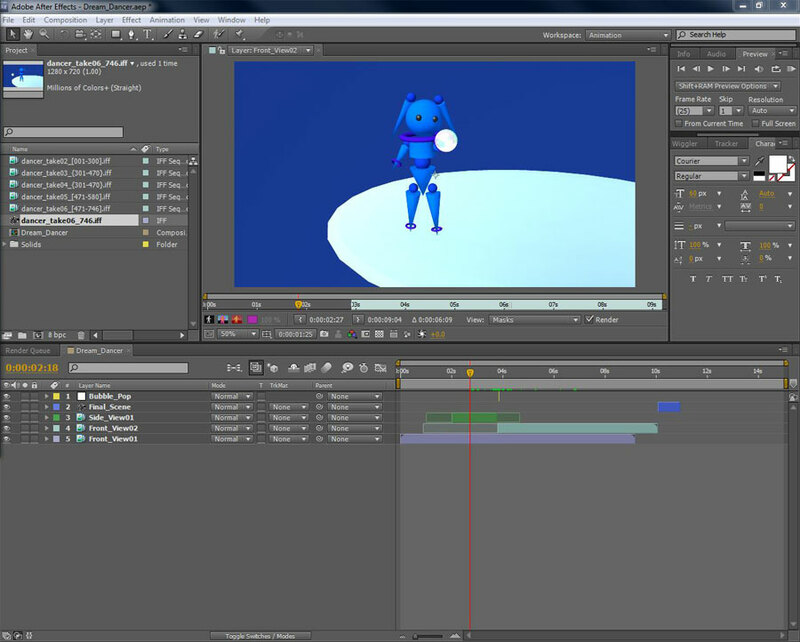 Placing the frames as a sequence in AfterEffects, this way extra frames or effects can be added.